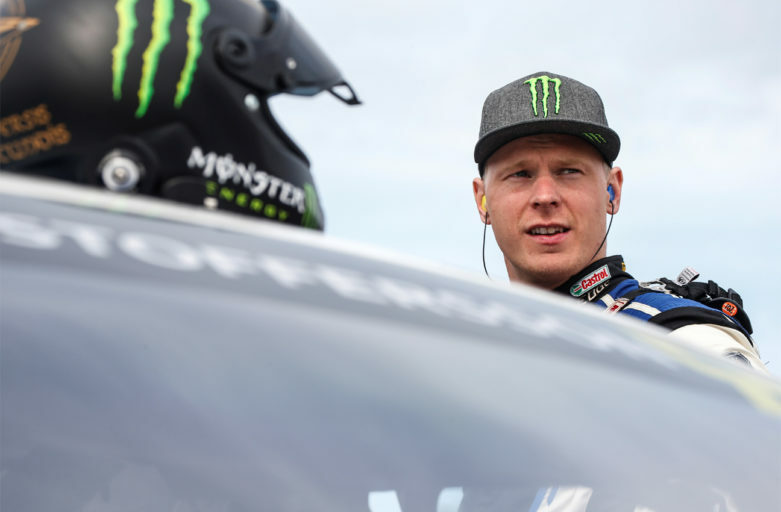 Johan Kristoffersson finished fifth at the third round of this year’s FIA World Rallycross Championship at Circuit Jules Tacheny in Belgian Mettet. With that, he holds on to his overall championship lead, nine points ahead of Sebastien Loeb. Johan had a tough first day in rough conditions, but still scored a fourth and a fifth place and was in fifth position overall after Saturday’s heats. 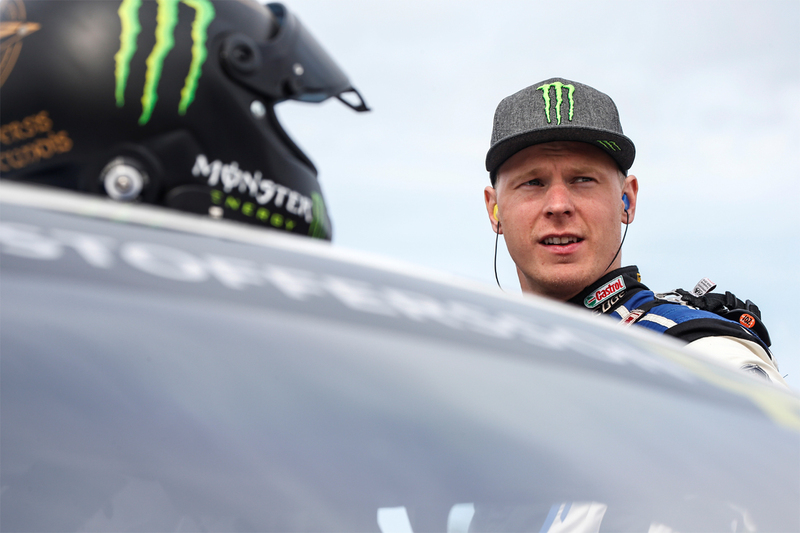 In Sunday’s last two qualifying heats, the PSRX Volkswagen Sweden driver managed to climb in the standings by getting a second and a third place, which placed him in the first row in the semi-final. ”That’s been the thing so far this season, a tough Saturday and a better Sunday” said Johan. He dominated his semi-final and got another six points for winning it. That result put him in pole position in the final, but in this case it wasn’t an advantage. ”It was a bit wetter than on Loeb’s side. The start wasn’t too bad, but all of a sudden I was on two wheels in the first corner. We were lucky not to roll, but when the car hit the ground again I felt that it was damaged and immediately knew that it would be difficult to go for the win” said Johan. Instead, he had to focus on getting his Volkswagen Polo R Supercar to the finish and bring home as many points as he could in this situation. Johan managed to score enough points to stay in the lead in the overall World RX championship, still with a nine points’ margin. This weekend’s winner Sebastien Loeb moved up to second place and has 66 points compared to Johans’ 75 points.